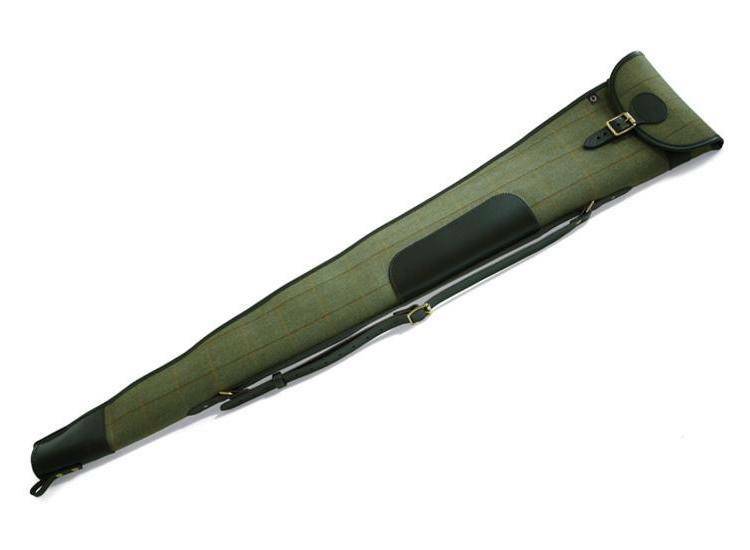 Made from the finest 100% wool woven in Scotland to produce a soft, high-grade tweed, this single gun slip is designed by British heritage brand Croots, making it the ultimate accessory for the keen country sportsman or woman. 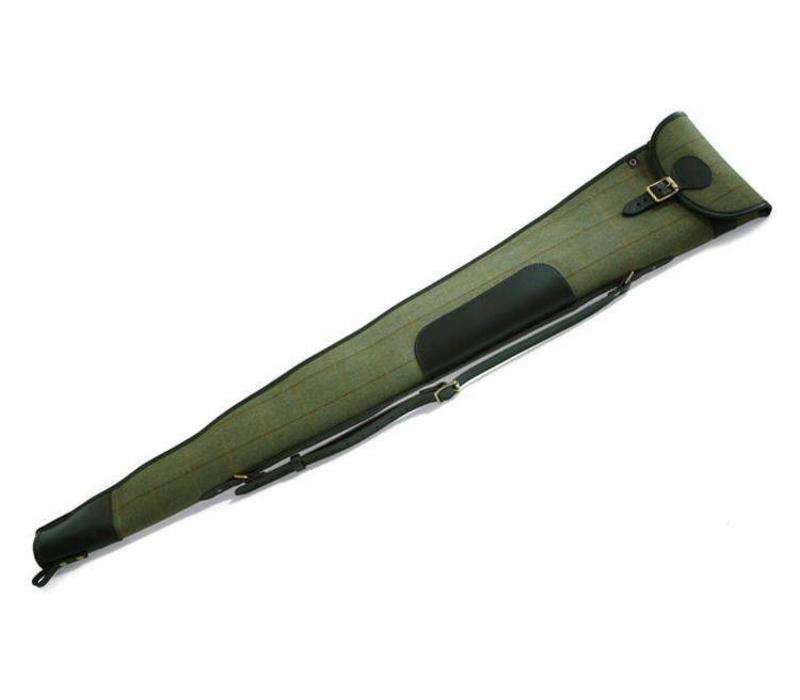 Offering maximum protection for shotguns while out in the field, the tweed is waterproof thanks to a rubber membrane. 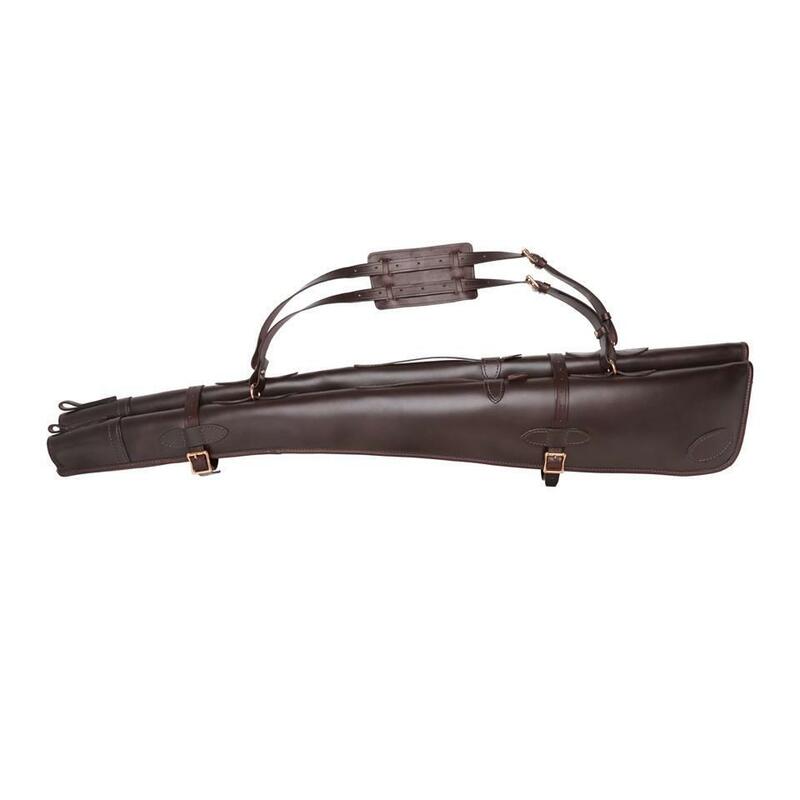 Featuring a bridle leather shoulder sling, a hand-sewn blocked muzzle end and a padded fleece lining as standard. 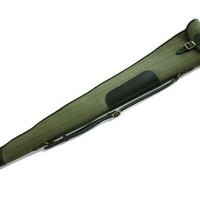 The flap and buckle opening includes full-length zips, allowing for easy drying. 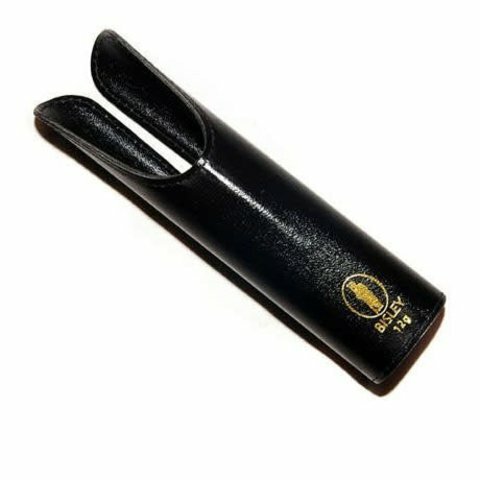 This gun slip is suitable for 30 and 32 barrel shotguns.